The Board of Control for Cricket in India (BCCI) announced the Indian squad for the upcoming Australian tour of India. 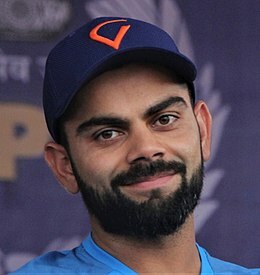 Virat Kohli returns as captain after his recent break during the team’s New Zealand tour. With Kohli as skipper, as expected, Rohit Sharma is the vice-captain. Since the World Cup 2019 is coming soon, the team selections are indicative of what is most likely to come. Notably, both the ODI and T20I squads include Rishabh Pant and KL Rahul. Rahul recently played well with the India A team in unofficial Tests against the England Lions. He returned early from the Australia tour after making inappropriate comments about women when he was on a talk show. Rahul concentrated on domestic cricket to regain his form that had been somewhat lacking in Australia. Starting on 24th February, the Australian cricket team will tour India for a T20 International and One Day International series. The teams will play a two-match T20I series, and a five-match ODI series. The first match takes place at the Dr. YS Rajasekhara Reddy ACA-VDCA Cricket Stadium in Visakhapatnam. The second T20I is at the M Chinnaswamy Stadium in Bengaluru on Wednesday 27th February.